Is your attitude painting your world in colorful hues and shades of happiness and contentment? Or, is it creating a dark mist through which everything appears dark, dismal, and hopeless? Or, maybe it’s somewhere in the middle. Have you checked lately? Maybe it’s time for an attitude adjustment. Take a moment and identify the ones that apply to you right now — and also select two or three that you would like to begin incorporating into your personality. How did you do? Were you completely honest? 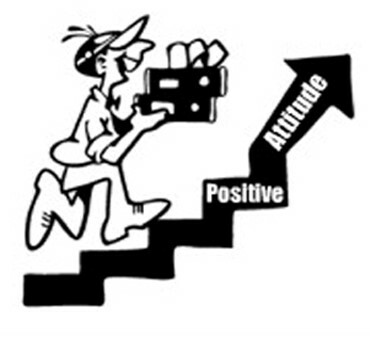 Is your attitude in good shape, or is it time for an attitude adjustment? What would happen if you gave that list to five other people? Would their choices in describing you be the same as yours? This is the list to use as your benchmark if you want to attract people into your circle. The characteristics should describe you perfectly, without any reservations. Identifying the differences between positive and negative behaviors is quite easy. What is not so easy is changing personal habits that are deeply ingrained in your behavior patterns. 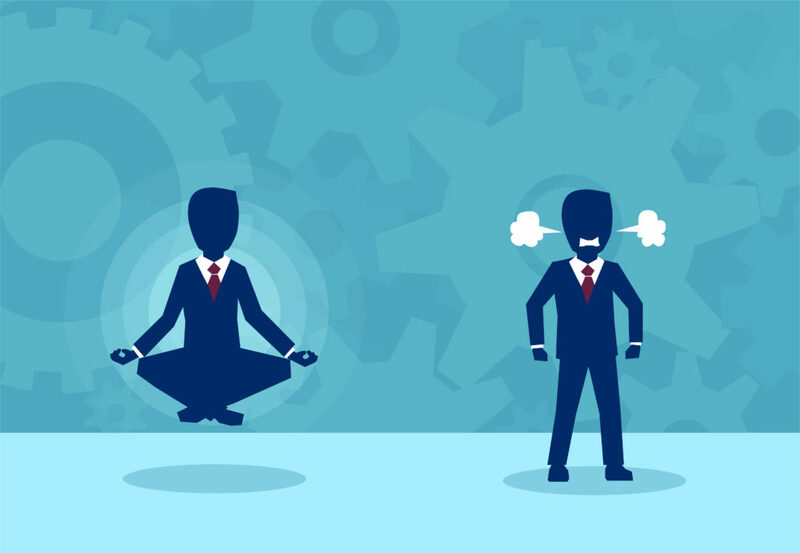 The attitudes you project day in and day out have developed slowly, over time, and have become part of your personality. If you have negatives you want to change, it can be done. But, it will take focus, discipline, and daily practice to move in the right direction. Do not make the mistake of trying to change everything at once. Focus your energy. Start with one or two characteristics that you selected from the list and concentrate on those. Make a conscious choice every day to put them into practice. Once the characteristics start to feel natural and comfortable, choose one or two more, and focus on those. Commitment is the key to success in this process. It will take time, so be patient with yourself. We started with outward expressions of a positive attitude. Now it is time to dig deeper. There are eight specific sets of behaviors that when implemented and sustained will become the foundation for a positive outlook on life. Development of any or all of these behaviors will contribute to your health, your level of self-confidence, and your general well-being — all of which impact your attitude. Eat well, exercise, regularly, and get plenty of rest (develop the habit of power naps if getting a full night’s sleep is a challenge in your home). It is very hard to be positive when you are hungry, exhausted, have limited physical stamina, or if you do not feel well. Carry yourself with confidence — and smile. It is almost impossible to feel depressed and negative when your shoulders are square, your back is straight, and you have a smile on your face. Make sure that it is congruent with your words? Do your non-verbal messages match the words that you are saying? Or — are you saying one thing and sending a completely different message through your tone of voice and your body language? According to Albert Mehrabian’s research in 1971, he concluded that communication, on a face-to-face basis, consists of three separate elements that are not of equal importance. The words are the least important — only 7%. The tone of voice is next — 38%. And . . . body language is the highest — at 55%. Too many present moments pass by without notice. Pay attention to what is happening in the here and now. Avoid living your life in limbo — thinking about what is going on somewhere else, worrying about the past, and constantly looking to the future. When you spend your time letting your mind wander elsewhere, the present quickly passes by and you cannot get it back. The present is the only time in life that has any true value. It is the time in which you can take action and make a difference. Use each present moment wisely! Responsibility means the ability to respond — the ability to choose your response — the ability to act, rather than react. You have the power to choose to live your life the way you want to live it. One day, naked and alone in a small room, I began to become aware of what I later called the last of the human freedoms. They could control my entire environment, they could do what they wanted to my body, but I could decide within myself how all of this was going to affect me. Between what happened to me and my response to it, was my freedom or power to choose that response. Keeping your word demonstrates to others the kind of person you are. Don’t let false promises, frivolous words, falsehoods, or cutting remarks be part of your behavior. When you say something — you should mean it. Say what you mean and mean what you say. When you promise or commit to do something, do it — no excuses. If you can’t do it, don’t make the promise. When you agree to be somewhere at a certain time, be there at that time. Being true to your word builds trust and contributes significantly to your self-esteem, both of which lead to a more positive attitude. Never let the picture fade. Begin and end your day with it in your mind. Think about it many times throughout the day. When the picture stays clear and prominent in your thoughts, it has the power to pull you into the future. Create the picture in words by describing it in your journal. You want it to be accessible in case the picture in your mind begins to dim for any reason! Carry a copy of the description with you and commit yourself to be that person every day. Attitude can be your most powerful tool in living a good life. Your attitude creates an aura that is positive or negative and becomes the magnet that draw people to you or pushes them away. It’s good to check your attitude regularly. Is it helping you or hurting you? Decide if an attitude adjustment is necessary, and, if so, take the steps to make sure it happens. The attitude you project into the world will come back to you ten-fold. 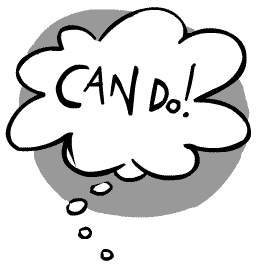 Do everything you can to make sure it is postive! This is an excerpt from my published book, Attitude Adjustment.